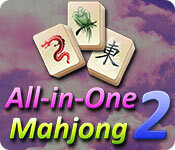 All-in-One Mahjong 2 is rated 4.0 out of 5 by 2. Rated 5 out of 5 by nancydrew33 from Another great mahjong game I was a big fan of All-in-One Mahjong and now happy to play the second part of this game. So many different layouts, will never be bored. 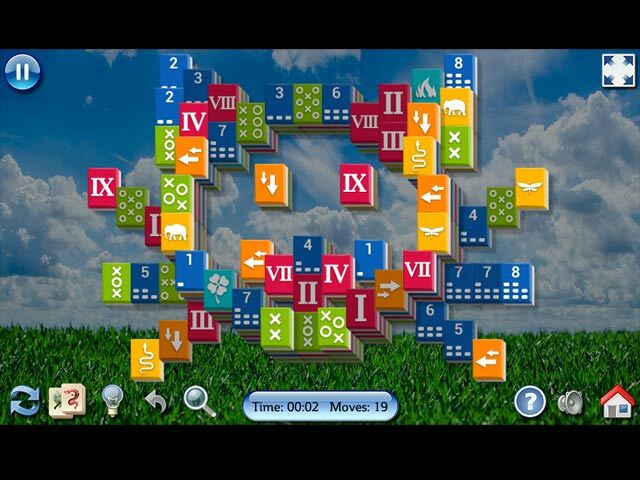 There are several things that differ this mahjong game from other: - Choice of tiles, especially I like colorful - Choice of amazing nature background - Very nice music All in all :) I enjoy playing both versions of this game and recommend it to all mahjong lovers! Rated 3 out of 5 by pennmom36 from I DON'T NORMALLY ENJOY MAHJONG GAMES, BUT..... As a general rule of thumb, I usually don't think about playing a Mahjong game when I'm searching for a good game to play. Most Mahjong games require little to no skill or strategy to master, because it's basically a luck of the draw, there are either available matches or there aren't. (an exception to this rule is Legendary slide Mahjong) Because of this, I quickly become bored with the game, but All-in-One Mahjong 2, for some reason, didn't bore me, in fact, I found it to be rather relaxing! You can choose from several beautiful background pictures, rain on the window, tulips, yellow field, blue sky, autumn leaves, drop of water, grass & sky, sand heart, maple leaves, music notes, purple sky or a random picture. There are three different Mahjong Tile sets to choose from, two traditional tiles and font styles and one modern tile set that has very colorful tiles. You can also choose to play in a Timed Mode or for Points. 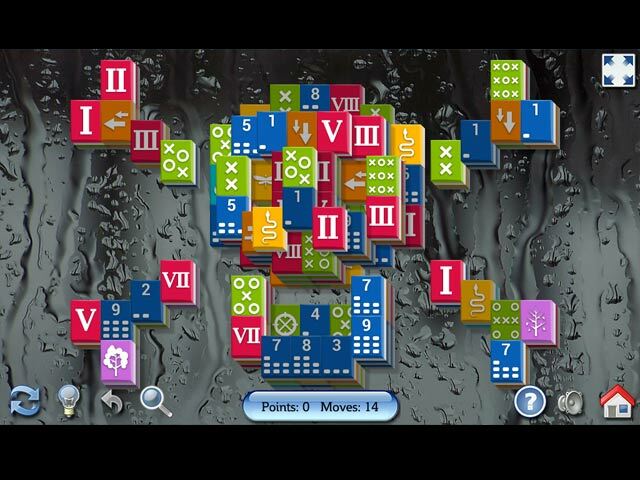 Timed Mode has a shuffle feature, and you must clear all of the tiles within the allotted time given, or you can play in Score Mode which has no timer or shuffle feature, you either win the game (think solitaire) or lose, clear all the tiles to win, get stuck with no available moves and lose. When it comes to the Mahjong layouts themselves, this game seems to have the whole enchilada, (well actually everything but an enchilada) none are locked so you can play them in any order you want, as often as you want! The layouts are really interesting designs, such as a puppy, a horse, beetles, jellyfish, an alien, pacman, ruins, flip-flops, and even Aladdin's lamp and Jolly Roger! Depending on which mode you choose, there are available Hints, Shuffle's and an Undo feature. Available Moves are shown, and there is a Highlight feature that will highlight all open available tiles. This is a simple,Traditional Mahjong style game, the only goal is to remove all tiles by matching two available identical tiles, (seasons and flowers can be matched with any tile in the same group) there are no Gold Tiles to remove, or any hoops to jump through. Although I personally don't get super excited with most Mahjong games, this one is much more enjoyable than most, and certainly worthy of a coupon, enjoy!